Waxing at home made easy with Smoothy Automatic Non Stick Coated Temperature Control Wax Heater by Ozomax. 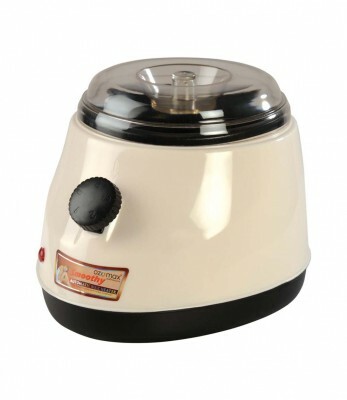 It will slowly reach the temperature Suitable for melting the wax Which does not exceed 100-110' temperature (Suitable for melting the Liposoluble Wax) After melting the wax you can regulate the temperature according to your requirement. Unbreakable Body, Non Stick Coated Container, Portable and easy to use are some of its salient features.